February has been named National Self-Check Month to raise awareness about the importance of regular self-checks for both men and women. Self exams are something most people forget or just plain avoiding doing, but they’re actually very important for early detection of any abnormalities and possible cancer. Whether you’re a patient of All About Women in Gainesville or Lake City, Florida, or you are a woman who simply needs a reminder, we want to take this time to talk about the importance of breast self-exams (BSEs). Why are breast self-exams so important? They help you to familiarize yourself with your breasts so you can better detect subtle changes. Early detection is key to fighting and beating breast cancer. 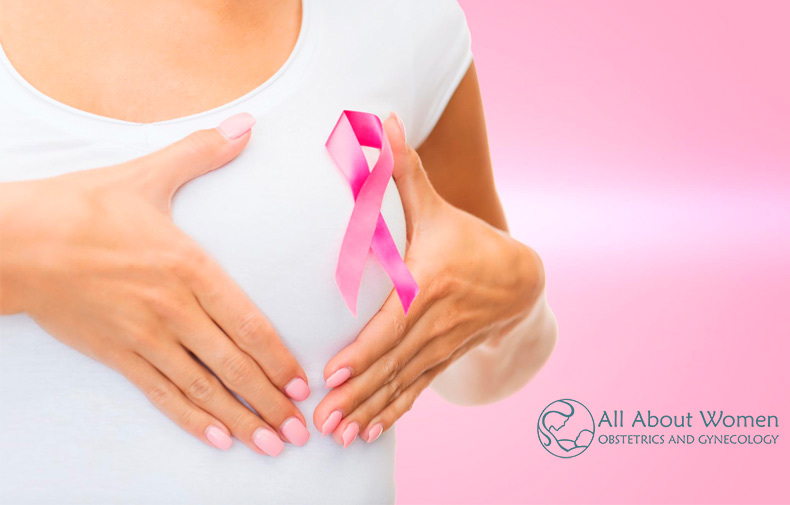 There are other conditions that can be detected by breast changes besides cancer. Just because you find a small lump or other abnormality, it doesn’t automatically mean it’s cancer. Try not to get anxious if you feel something —just call your doctor to schedule an appointment. Many times, it’s not anything to worry about. Do your BSE at the same time every month (but not during your cycle). Check for any changes in size or color. Feel your breasts while lying down. Use a circular or up and down motion to feel across your breast from one side to the other. If you have any questions about how to perform a breast self-exam or concerns about your findings, don’t hesitate to talk to your doctor. Another important thing to remember is that monthly BSEs shouldn’t take the place of yearly well woman exams and mammograms. Your gynecologist may be able to detect changes that you cannot and mammograms are even better at finding small abnormalities early. Is it time to schedule your yearly exam or mammogram? Are you concerned about something you found doing a BSE? Contact All About Women at our Gainesville or Lake City office today to schedule an appointment. Happy National Self-Check Month, everybody! The Fourth Trimester: What Is It & How Do I Get Through It? Being a patient-centered practice goes well beyond seeing patients in our office. We want to help you find important answers before you even step in the door. Our OB/GYN blog helps us accomplish this goal but more importantly, helps women like you better understand your unique health needs. Browse around and learn more about pregnancy, general women’s health, exciting new research and more!